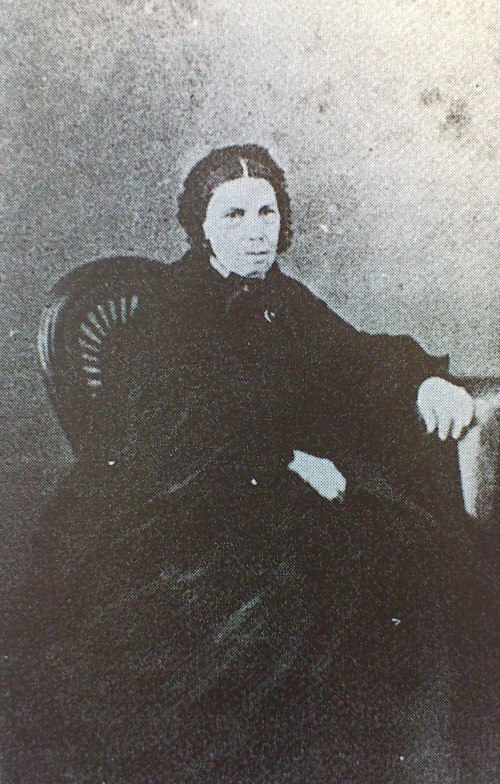 Josefa Ruiz Blasco, born in 1825, was the aunt of Pablo Picasso and the eldest of the eleven brothers and sisters of the Ruiz Blasco family. 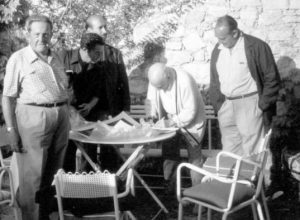 She lived with her sister and brother Matilde and José (Picasso’s father) in the Plaça de la Merced of Malaga until he got married and then she went to live with her youngest brother Salvador. 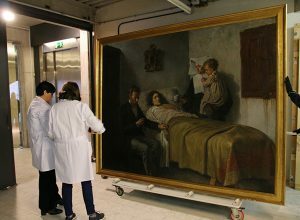 The death of Josefa coincided with the days of the last visit of Picasso to Malaga, in 1901. Josefa Ruiz was a spinster, known for her strong character, her bad moods and extreme religiosity. She had a paralysed leg. At her brother’s Salvador home she lived in a separate wing of the house, rarely going out, and her room was full of saints, religious relics and memories of her deceased brother Pablo Ruiz Blasco. 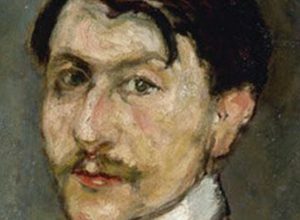 Picasso received “Pablo” as a first name in memory of this uncle, who died two years before he was born. 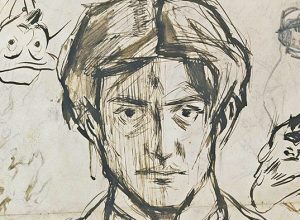 Pablo Picasso spent some summer stays in Malaga with his family and during the summer of 1896, when he was 15 years old, by request of his uncle Salvador, he painted a portrait in oil of Josefa Ruiz, considered to be one of the outstanding portraits by the young Picasso. The artist played with the light on the face and the chromatic treatment, achieving in this way to go deep into the psychological profile of his aunt. John Richardson explains in volume 1 of Picasso. 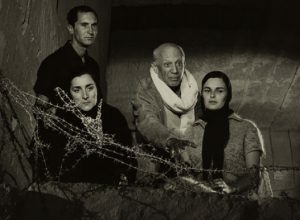 A biography that after the first refusal by his aunt to do the portrait, Josefa changed her mind and went to look for Picasso dressed in Sunday clothes with a winter cape, a lace cap that her sister had made and a gold watch of her brother Pablo. 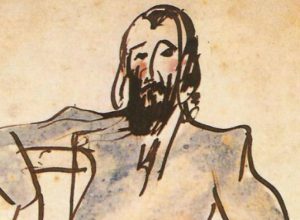 Legend has it that Picasso painted the portrait in less than an hour. According to the Picasso biographer Josep Palau i Fabre the Portrait of Aunt Pepa is a masterpiece from the formative period of the young Picasso “in which the virtuosity rivals with the depth, as if both of them wanted primacy”.The work was donated to the Museu Picasso, Barcelona by Picasso himself in 1970. 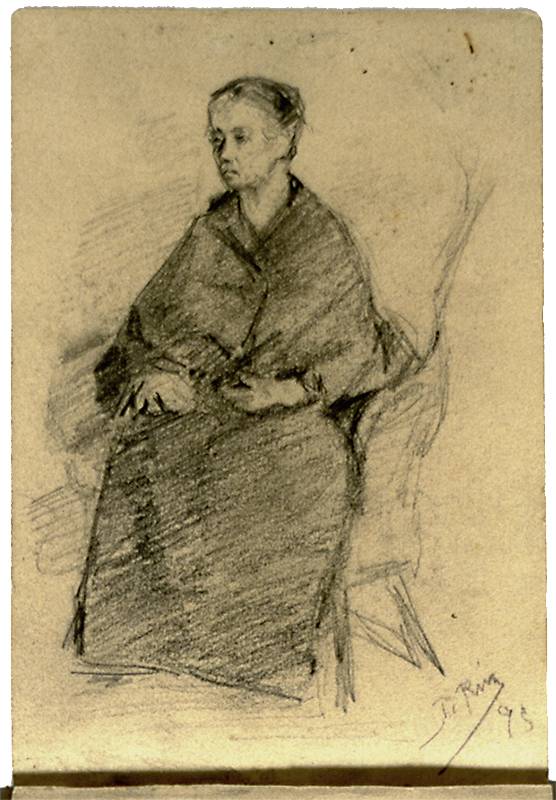 The previous painting to this oil, that also belongs to the museum’s collection, is the Portrait of Aunt Pepa seated in an armchair,a pencil drawing in an album of 1895 of 36 pages that contains drawings done in Malaga and Barcelona with studies and sketches of family portraits and works of Velázquez. Until June 9th, the work Portrait of aunt Pepa can be seen in the exhibition “Picasso de Malaga. 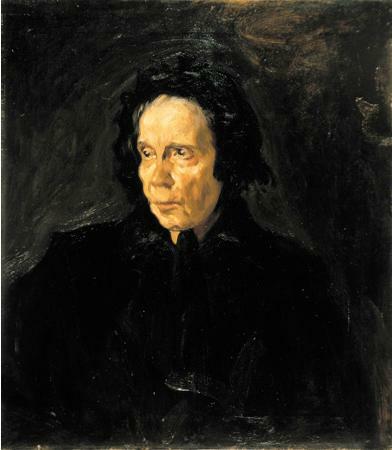 Earliest works” in the Museo Picasso of Malaga, which carries out an itinerary of the Works from the youth of the artist in the Malaga of the end of the 19th century.